An exciting delivery today from Green People is making its way into my kit! I already have the two blushers from the old collection in there which I still really like, however the new range is much more refined. Everything has been reformulated and the talc has been taken out; the products previously contained pressed talc which doesn’t have as much concern as talc in a loose powder form, but the fact it has been removed will make a lot of people happy I’m sure. The texture of the new blushers and eyeshadows is a lot smoother and creamier I would say. The pigment is also truer and they are less shimmery – hurray!! I don’t mind a bit of shimmer but it can often be too much, especially in eyeshadows. The blushers in fact have no shimmer which is brilliant. The new packaging is great as well, it is flat cardboard compacts rather than the plastic compacts from before which took up a lot of room. The new ones are much more kit/make-up bag friendly. The Volumising Mascara has a new brush as well as a new formula to “volumise, condition and lengthen” lashes. I will be road testing this week along with the City Grey Eyeliner, which I’m looking forward to trying, it’s so nice to have a grey eyeliner rather than black or brown. Previous Post W3LL PEOPLE and their new make-up!! Next Post My two new foundation crushes….. Many thanks for your comment, I’m glad you like the blog – thank you! 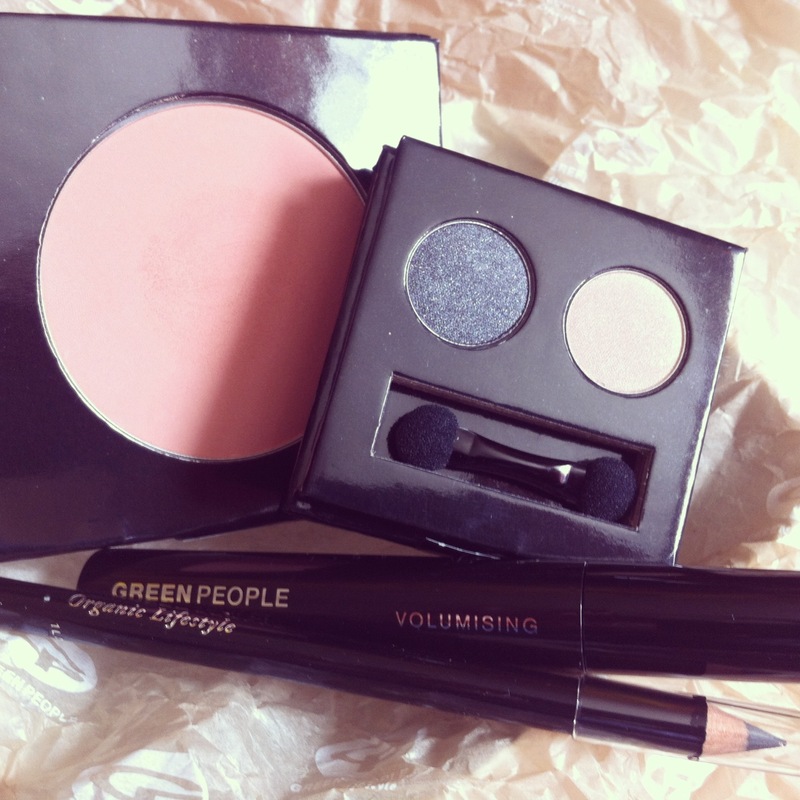 The GreenPeople eyeshadow is nice, although if you are looking for dense pigment, it is probably not what you are looking for. The W3LL PEOPLE loose minerals have good pigment as do the Couleur Caramel pressed shadows, both of which I have in my kit. Unfortunately with a lot of the natural shadows, the pigment is quite light. A good way to intensify them is by layering them over creamy products. Try covering the whole lid in with a kohl pencil and then going over the top with your shadow. I also really like the pressed shadows by Studio 78 – there are still quite soft but you can layer them up. Thank you Louise. I’ll try that. I have noticed that Bare Minerals eye shadows are quite pigmented but they contain Aluminum (which in understand is what makes them so pigmented?) So I’ve been reluctant to buy them. They also contain Bismuth Oxychloride which many people can react to. Their ingredient lists are certainly not as simple as brands like Inika and W3LL PEOPLE but as you said this is perhaps the reason why they are that bit more pigmented. If you can give W3LL PEOPLE a go… I think it’s also a bit of compromise – wear a really natural one during the week and then at the weekend for example when you want a stronger a look, it’s not going to hurt so much wearing something that has a few more ingredients in it. I think it’s a good idea. I’ll definitely try W3LL PEOPLE. Thanks again.